Avios operates the frequent-flyer programme for International Airlines Group (British Airways, Iberia, Aer Lingus, Flybe, and LEVEL). The company employs 800 people worldwide. The Avios Innovation Team were tasked with finding ways to improve the company in three key areas: Customer experience, speed and agility; and use of big data. The team knew that the key to sourcing great ideas was to listen to the people who know their business best – their employees. But how would they engage them? Yammer was already being used actively in various pockets of the company. The Avios team knew that running a campaign which allowed employees to see the idea generation process at work would help to drive interest amongst their workforce. The team saw this as an opportunity to reduce the barriers to idea submission and ensure more great ideas were created. They created a group called ‘Avios Ideas’ allowing people to socialise ideas and get feedback from colleagues. Each time a new idea was posted, it was automatically fed into the Sideways 6 idea management platform where the team could manage the ideas and communicate back to employees. 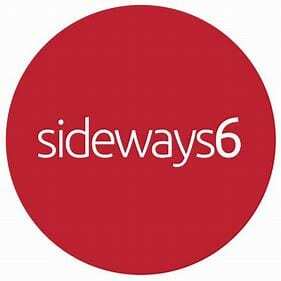 The Sideways 6 platform gave Avios a smart and structured way to manage their ideas at scale. The team were able to simply move ideas between the three idea types, shortlisting the best ones based on likes and comments and sending them to an expert panel for review. The Yammer group acted as the heart of the employee ideas campaign that Avios called ‘Light the Bulb’. Designed with a creative take on encouraging employee ideas, the team placed large light bulbs around the workplace which were then linked directly to the Yammer group and Sideways 6 idea management platform. As soon as an idea was submitted on the group, they were picked up by Sideways 6 and the lightbulbs began flashing in a different colour according to the type of idea. This sparked an immediate reaction around the office encouraging others to submit their ideas and put the lightbulbs into action. Over a five-week period, almost 500 employees joined the Avios Ideas group and a total of 89 ideas were submitted. Out of these ideas, 12 have since been sponsored and the remainder now make up a large bank of ideas which can be taken forward if ever required. Avios is also encouraging sponsors to get the idea owners involved in the development and testing process going forward. The team also found additional benefits of the challenge. Instead of acting in silos, it helped people in different areas and levels of the business to collaborate. The campaign also enabled Avios to run a company-wide Light the Bulb selfie competition which brought people together like never before. We wanted to find a unique way to bring our people together. We needed to create a buzz and make it easy for them to share ideas with each other."